Kids of all ages will enjoy these tasty treats! SQUEEZE CANDY INGREDIENTS: GLUCOSE SYRUP, WATER, CITRIC ACID, MALIC ACID, ARTIFICIAL FLAVORS, SODIUM BENZOATE & POTASSIUM SORBATE AS PRESERVATIVES, ARTIFICIAL COLORS (RED 40, BLUE 1, YELLOW 5). 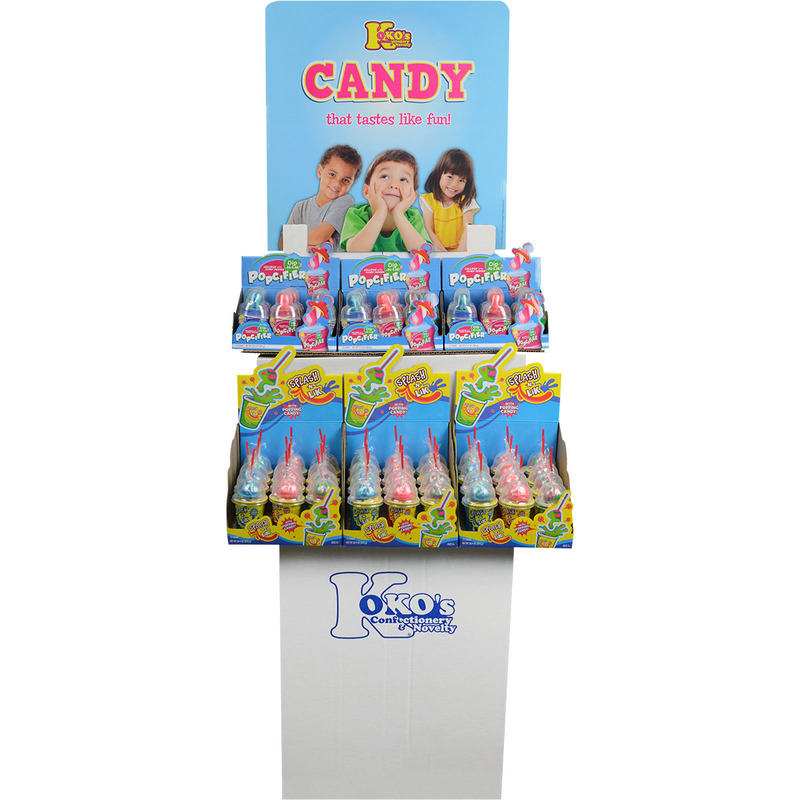 LOLLIPOP INGREDIENTS: SUGAR, CORN SYRUP, ARTIFICIAL FLAVORS, ARTIFICIAL COLORS: RED 40, BLUE 1, YELLOW 5, TITANIUM DIOXIDE. POPPING CANDY INGREDIENTS: SUGAR, CORN SYRUP, LACTOSE, MALIC ACID, ARTIFICIAL FLAVOR, ARTIFICIAL COLORS ( RED 40), CARBON DIOXIDE. LOLLIPOP INGREDIENTS: SUGAR, CORN SYRUP, CITRIC ACID, ARTIFICIAL FLAVOR, ARTIFICIAL COLORS: (RED 40, BLUE 1, YELLOW 5), TITANIUM DIOXIDE. POWDER INGREDIENTS: DEXTROSE, CITRIC ACID, MALIC ACID, ARTIFICIAL FLAVOR, MAGNESIUM STEARATE, ARTIFICIAL COLORS: (RED 40, BLUE 1, YELLOW 5).